Home > News > Industry News > NAB Show, here we come! SIRUI, as one of the well-known brands in the industry, of course would not miss the chance to attend such a big image show. 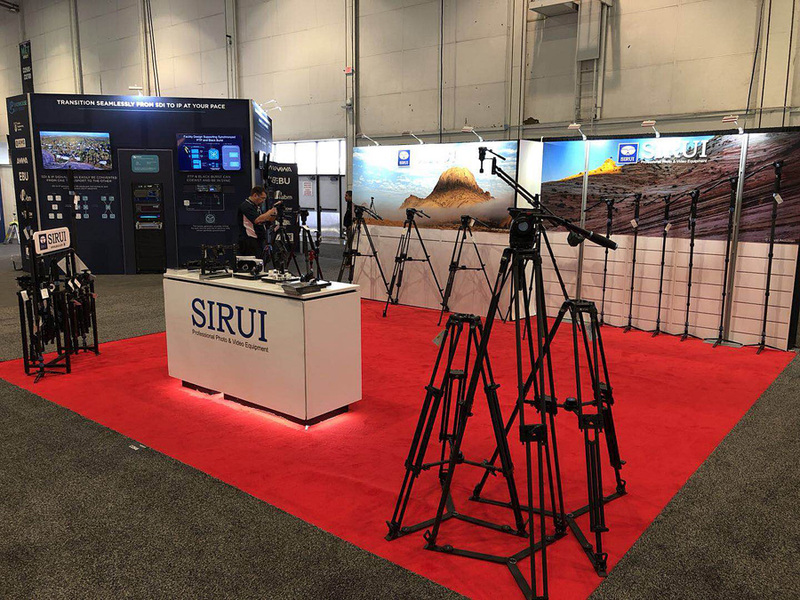 In the show this time, SIRUI not only display their widelyreputablePhoto and Video Support Equipment, but also the newly added Mobile Phone Accessories. SIRUI Mobile Phone Auxiliary Lenses have been recognized by most users since their launch. Besides the Wide Angle, Portrait, Fisheye Mobile Phone Auxiliary Lenses, SIRUI is also displaying the new developed 10X Macro Lens on the show. The 10X optical zoom of the lens helps to magnify the object clearly and takes you to discover the macro word of 10 times. 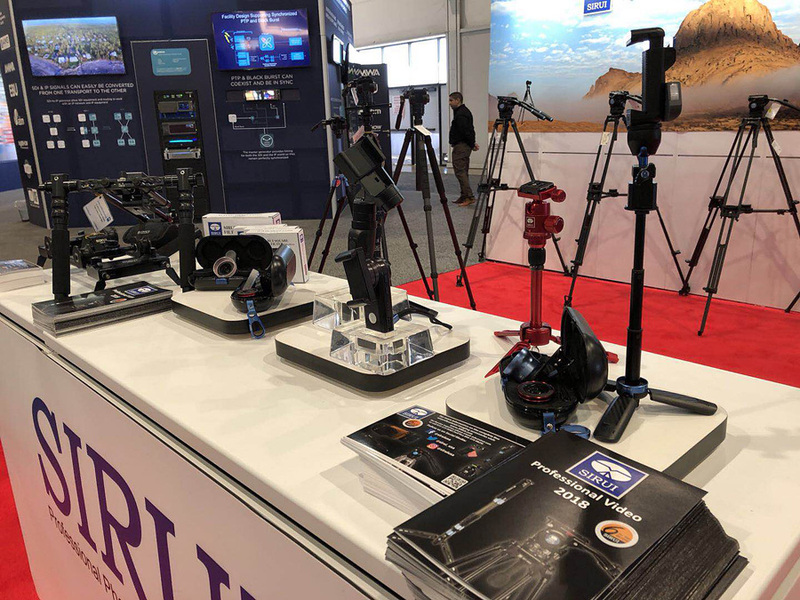 As a new range ofSIRUI products, SIRUI new developed intelligent Ballpod, Single Axis Handheld Stabilizer and Three-axis Handheld Stabilizer are also displaying on the show. SIRUI BP360-01Ballpod wasdesigned for recording professional and quality photos and videos with your mobile phone. With the SIRUI SMARTER APP installed on your mobile phone, the mobile camera can be connected with the ballpod and controlled by the remote control included. The Optical Flow, Following Feature, VR Imaging, Photos Sharing and other features of the Ballpod helps to maximize your shooting experience. It's a perfect option for creative selfie, group photo, office meeting, outdoor activities and other occasions. SIRUI ES-01 is a multifunctional entry level Single Axis Handheld Stabilizer. It's a perfect solution to take stable videos and high quality photos with your mobile phone. Its Intelligent Stable Shooting, Selfie Fill Light, Beauty Filter, Camera Timer and other features of the product helps to maximize your shooing experience. Stylish and lightweight design of the product makes it portable for live. SIRUI ES-02 Three-axis Handheld Stabilizer steadies your shot with an intelligent algorithm, its electronic anti-shake technology steadies the phone to counteract movement keeping your photos and videos stable. With the SIRUI SMARTER APP installed on your mobile phone, the Following Feature, 360?